Baby boy’s silver bracelet with a rugby ball and a diamond. 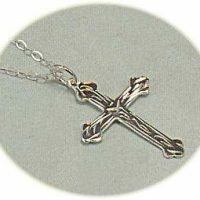 Another original christening gift for a baby boy ! 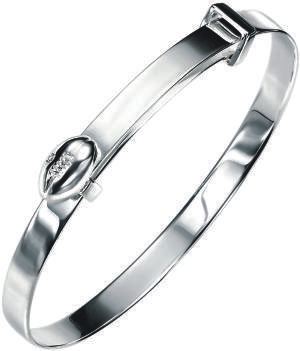 A solid silver adjustable bracelet, decorated with a rugby ball and a tiny Real Diamond. 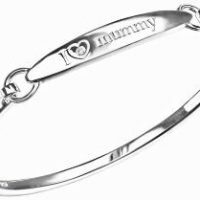 The bracelet is perfect for engraving with your own message, to celebrate Baby’s birth or christening. 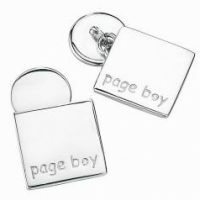 A wonderful keepsake to be treasured in years to come. 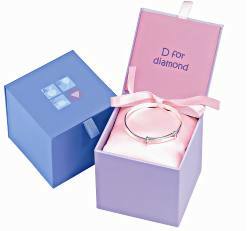 The bracelet comes in its own blue “D for Diamond” gift box on a tiny blue satin cushion. The box includes a matching gift card. 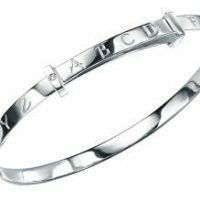 The bracelet is 4mm ( 1/6 inch) wide.